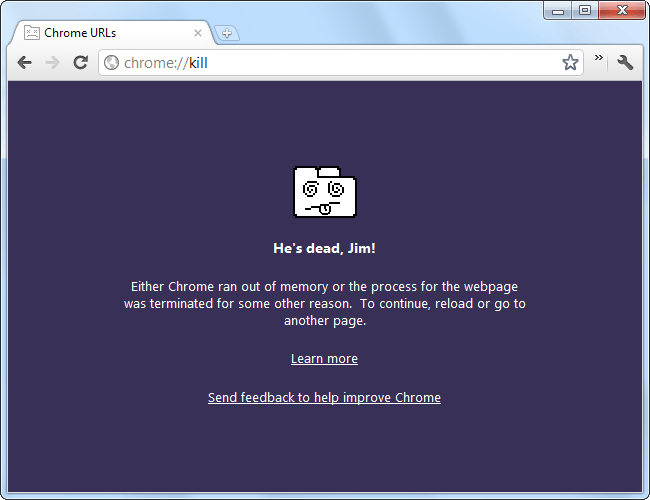 It’s no secret that the Google chrome is a memory hog. And for good reasons, of course. It easily takes up many gigabytes of RAM even with only a single browser tab opened. This is an annoyance for a lot of people because some pages which have unsaved data or other details can get lost if some page gets killed without permission. Now, since we have established all the points which could very well be the causes of chrome automatically killing all the web pages, we can sort them out one by one. The low system specifically means the amount of RAM installed on your PC. As we know that Chrome likes to use a lot of RAM, it is obvious that a PC with less RAM will not run as smooth as the one with more RAM. The easiest way to fix this issue is to get more RAM. This is of course not very cost effective, so I’ll list a few things that you can do to decrease your memory usage. Close all the programs you don’t use in the task manager. Use low CPU heavy antivirus like Windows defender, AVG or Bitdefender. Uninstall the programs that you don’t use. On the top right corner of Chrome, click on the 3-line hamburger menu. Then go to the Settings. Alternatively, you can also type “chrome://extensions/” (without quotes) in the address bar to go directly to the extensions page. Uncheck the “Enabled” box to disable the plugin of your choice. After the plugin has been disabled, click on the small recycle button to actually remove the plugin completely. Chrome stores a lot of data while browsing for faster access at a later time in future. Sometimes because of low disk space, Chrome can face problems while saving files in its cache. Because of this, web pages will start closing automatically. Fortunately, Windows provides us with an internal utility to get rid of all the unused file and data from the disk safely with the help of disk cleaner. Let’s see how to use the disk cleaner. Press Windows key and type “cleanup” (without quotes). Select the Disk Cleanup desktop app and press enter. Select the C: drive from the drop down menu. Select all the checkboxes in the list and then click OK. 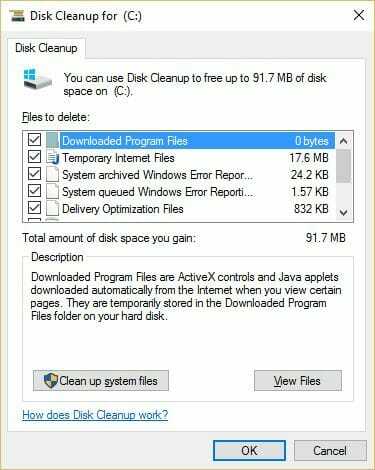 This will instruct Windows to delete all the old and unused data from your disk. The amount of data cleared depends on upon the size of your drive and how old your Windows installation is. Sometimes, the disk cleanup will clear many gigabytes of data while other times, it will only free a few megs of space for us. Note: This step can cause Chrome to become vulnerable to many security flaws. Proceed with caution! Chrome sandbox mode is a mode built-in Google chrome which forces it to use a single instance of its process instead of the 10s it uses by default. You can see how Chrome normally looks like in the picture below. 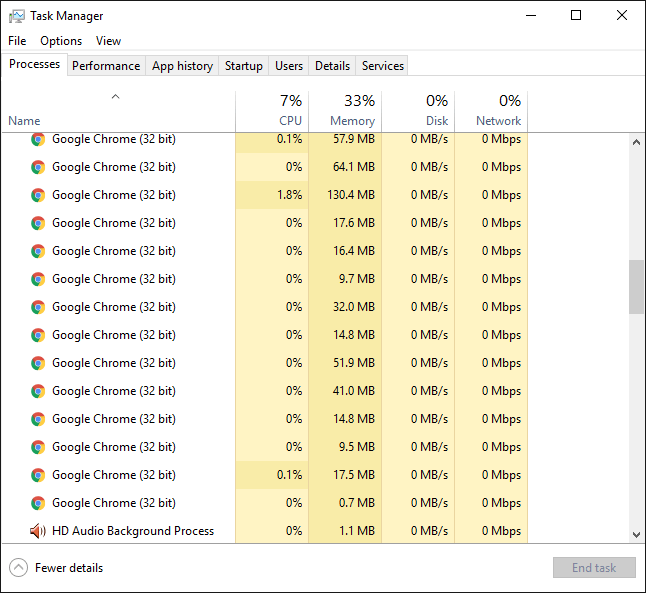 In the Task Manager, Chrome is running around 15 processes even when a single web page is opened in the actual browser. What actually happens is that Chrome creates a separate process for everything that runs inside it. This isolates web pages from each other in order to keep your data safe. This, however, is not a memory effective method of doing things and takes up a considerable amount of space in the RAM. We can disable this by adding a no-sandbox flag in a shortcut to stop chrome from using multiple processes for everything. Right-click on the Desktop and go to New > Shortcut. Type “C:\Program Files (x86)\Google\Chrome\Application\chrome.exe -no-sandbox” and press Next. Let the name remain in its default setting and click on Finish. This will create a shortcut for Chrome on your Desktop which will instruct Chrome to not use sandboxing (as explained above) in order to save memory. Try these methods and let me know in the comments section how this works for you. Many desperately need an extension to deep-six google doodles! I’ve read about setting flags, etc. but nothing seems to work.